Ever thought of creating your own little gift tags? Well, I did…a while ago…in fact last Diwali. These are easy. You can create variations of your own. 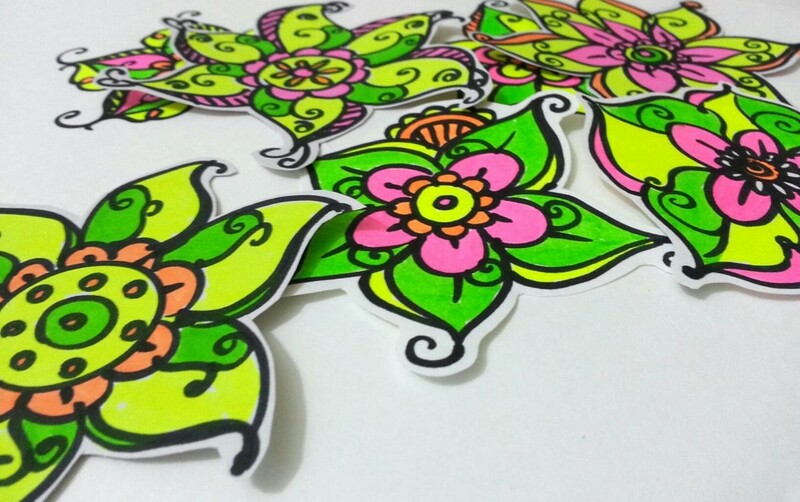 I love using a bold black marker to draw and fill it up with fluorescent colors. Highlighters serve the purpose. Want to give it a shot? If you enjoy doodling like I do, this might be a very happy time for you. So create as much as you want, after all gifting is never out of fashion! Over 1145 Sketches in 18398 Studios across the globe!